I just finished the book "All the Light We Can Not See" by Anthony Doerr. The book is set in Europe during World War II. This book does not deal with military tactics or battle strategies or the lives of soldiers. The basic focus is on two characters: one a young boy who is eventually recruited into Hitler's Youth and ultimately the German army. The other character is a young, blind french girl. What the reader sees is a unique view of what it must have been like to have been a soldier on 'the other side' and what it was like living in an occupied country. Events jump back and forth from 1940 to 1945 which some readers said they found confusing but to me it made perfect sense in terms of what the author was trying to do. Eventually the lives of the two main characters merge as the war comes to an end. The strength of this book is in the many characters the reader meets. The take away is that World War Two (and by extension all other wars) touched everyone. No one escapes. This is one of the best 'war' books I've ever read. I highly recommend it. 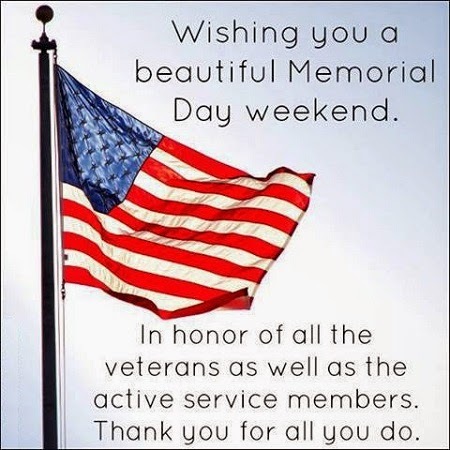 Sports, picnics, gardens, relaxing, whatever it may be let us not forget to take a minute or two to reflect quietly on those who sacrificed so much to make it possible for the rest of us to enjoy this weekend. Thus begins the lead article in today's NewTimes. While it is true that too many motorists are very inconsiderate of cyclists, I don't think it inappropriate to remind cyclists of a few things as well. For example motorists are not the only ones who need to remember to share the road. There have been many occasions when I've come upon groups cyclists riding in a pack, hogging the road. Passing them is difficult and often dangerous for the cyclist. When a car is coming, they need to ride in single file. Also, cyclists need to remember that they too must obey the rules of the road. That means stopping at stop signs and traffic lights and granting the right of way where appropriate. They can't just toss out the rules because they might delay them or inconvenience them. All wheeled vehicles are obligated to follow the law. Courtesy and consideration goes both ways. Let's all be aware of each other so no one gets hurt. Fini! You know how the president is required by the Constitution to deliver a State of the Union address every year? Well, I've been doing pretty much the same thing except it's not the Union that concerns me. It's my yard. So here's the run down since my return from Florida. 1. Branches and leaves that fell or blew back into yard over the winter are pretty much cleaned up. 2. Lawn tractor and mower started up without any problem and first mowing is done. 1. Blow those dangling seeds that come off of oak trees off the driveway and front porch. 2. Clean out gutters that are clogged with those same seeds. 3. Pickup and spread two yards of bark mulch. 4. Prep garden area for flower plantings. 5. Start cutting up fallen trees and limbs in back woods to add to firewood pile. 6. Prune all dead stuff from Rhododendrons from winter kill. 7. Patch cracks in driveway. That should do it. The rest is just keeping up with the mowing and pruning. This is the longest I've ever gone between blogs but now I'm back. We've been in Naples, FL for the past couple of weeks enjoying the very hot weather. While in Naples we hosted another couple and managed to stay very busy. One day we visited the Corkscrew Sanctuary. Another day we visited Naples Botanical Gardens. Other times we toured old Naples and on yet another evening we went to the beach for sunset. I'll post another piece with the next few days. Topic? To be determined. It's a new month and one of my favorites as trees and flowers slowly wake up from a long winter and a chilly spring.